The technology invented by psychiatrist Robert G. Heath at Tulane University in the 1950s and '60s has been described as one of "the most controversial yet largely undocumented experiments in US history"--controversial to us because Heath's research subjects included incarcerated convicts and gay men who wished to be "cured" of their sexual preference; controversial in its day because his work was allegedly part of MKUltra, the CIA's notorious "mind control" project. As a result, Heath's cutting-edge research and legacy were put under lock and key, buried in Tulane's archives. The ethical issues raised by his work have also been buried: This very same experimental treatment is becoming mainstream practice in modern psychiatry for everything from schizophrenia, anorexia, and compulsive behavior to depression, aggression, anxiety, and even drug and alcohol addiction. In the first book to tell the full story, the award-winning science writer Lone Frank has uncovered lost documents and accounts of Heath's pioneering efforts. She has tracked down surviving colleagues and patients. And she has delved into the current embrace of deep brain stimulation by scientists and patients alike. What has changed? Why do we today unquestioningly embrace this technology as a cure? How do we decide what is a disease of the brain to be cured and what should be allowed to remain unprobed and unprodded? The Pleasure Shock weaves together biography, neuroscience, psychology, the history of science, and medical ethics to explore our views of the mind and the self. How do we decide whether changes to the brain are acceptable therapy or are simply bias and bigotry? 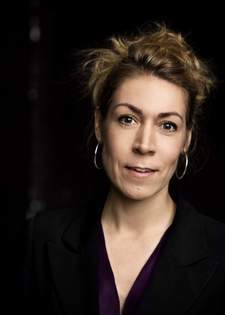 Lone Frank is a Danish science journalist, author and PhD in neurobiology. Since 1998 she has written for newspapers. She is also a commentator and lecturer and has worked in radio and television; including organized and participated in science series on television, talking about controversial issues such as heritability of IQ and race and intelligence. She received her master's degree in biology on a thesis about "the transcriptional regulation of glutamate receptors in cerebral ischemia" from Aarhus University in 1992. In September 2011 her book, My Beautiful Genome: Exposing Our Genetic Future, One Quirk at a Time was released to positive reviews. The book is based on a number of genetic-based tests, which aims to clarify the biological context of human personal development. It was also released in German, Norwegian and Dutch.